Bursitis describes an inflammatory tissue that forms in response to physical irritation or repetitive mechanical load to a specific area of the body. Bursitis is found throughout the body at locations including the shoulder, hip, knee, and foot. Common locations in the foot where bursitis may be found include the plantar forefoot beneath the second toe, the 5th metatarsal head and in the retrocalcaneal space between the heel bone and Achilles tendon. Bursitis is an inflammatory condition that can occur in many locations throughout the body. 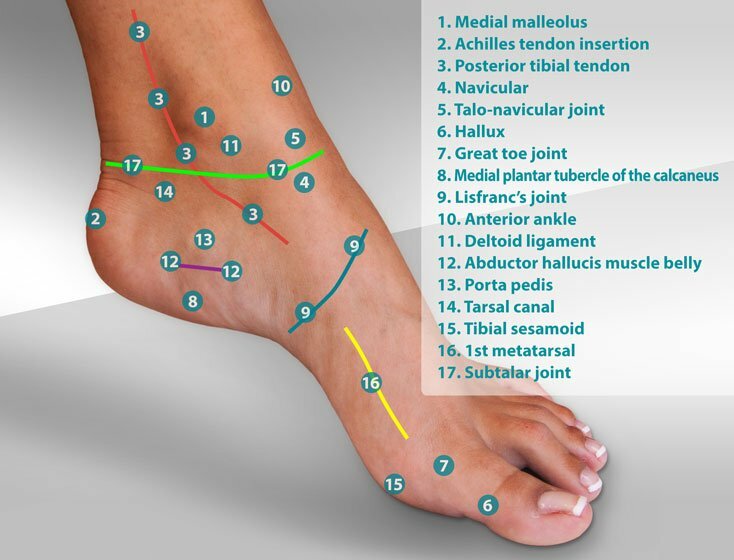 In the foot, the most common location is the forefoot or ball of the foot. Bursitis occurs beneath the second metatarsal head, as shown in the picture to the right. Forefoot bursitis is the result of disproportionate loading on the metatarsal bones of the forefoot. When one metatarsal bone is subjected to more load than the adjacent bones, the soft tissue between the metatarsal head and the floor will become compressed and often will become inflamed. Bursitis is the term used to describe this inflammation that occurs in the soft tissue between the metatarsal head and the floor. Forefoot bursitis is very dependent on the relative length of each metatarsal bone. The longer the metatarsal bone, the greater the tendency for bursitis to occur. In the picture to the left, the horizontal yellow lines define the relative length of the first, second, and third metatarsal bones of the left foot. This picture shows how much longer the second metatarsal bone is. Why is the relative length of the metatarsal important? Let's use an example to describe why. Take two bamboo poles, one 5 feet long and another 10 feet long. Hook them under your arms and hold them out in front of you, parallel to the ground. Now slowly lower the poles. The longer of the two poles is going to hit the ground first, followed by the shorter pole. 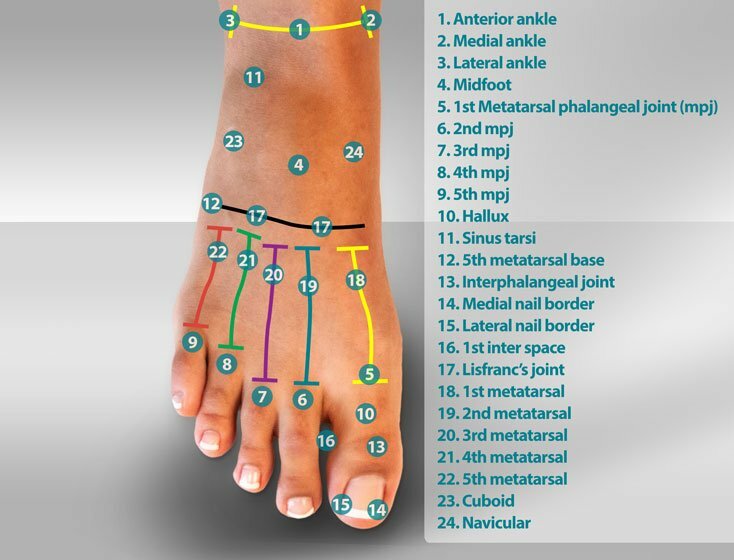 This is essentially how the long metatarsal bones of the forefoot carry our body weight. With each step, this load is repeated. Ideally, we'd like to see that load applied to the foot so that it is equally distributed. Even distribution helps prevent focal loading on any one bone or soft tissue structure, but often we'll see that the bone behind the second toe, called the second metatarsal, is long. Repetitive loading results in inflammation of the tissue structures beneath the metatarsal head or ball of the foot, and bursitis begins. Over time, the metatarsal that is sustaining increased load will have one of two outcomes. In abrupt cases of loading, the metatarsal may sustain a stress fracture. A stress fracture is the method by which the metatarsal accommodates the load by changing the structure of the bone. A second outcome would be that the metatarsal bone reacts by becoming bigger and more able to support the load applied to it. The image above shows red markings that define the girth of the second and third metatarsals. In this X-ray view, the second and third metatarsals should be approximately the same girth. You can see in the image how the second metatarsal is not only longer but also larger. This image shows how a metatarsal, when subjected to increased load, will increase in size to accommodate that load. The contributing factors to retrocalcaneal bursitis are poorly defined. There is agreement in the literature that impingement of the Achilles tendon against the calcaneus is the primary contributing cause of retrocalcaneal bursitis. The first consideration in treating forefoot bursitis is to find ways to off-load the forefoot. Off-loading is a simple technique that can be accomplished in many different ways. Felt metatarsal pads and forefoot gel cushions are by far the most popular. Proper placement of metatarsal pads can be tricky at first. We often use OTC and prescription inserts with metatarsal pads as a reference for patients trying to place metatarsal pads in shoes. 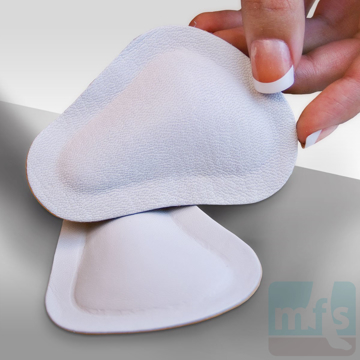 The advantage of the inserts with pad products is that they have the metatarsal pad positioned correctly in relationship to the metatarsal heads. Simply place the insert in the shoe and the metatarsal pad is properly placed. 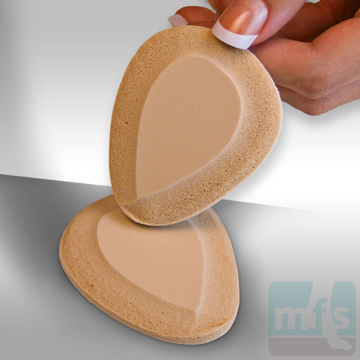 Once you know how a metatarsal pad should feel, you can use individual felt or foam metatarsal pads more easily. Some shoe designs help relieve the symptoms of bursitis. One example is clogs. The rocker sole has been used for years to off-load the forefoot. Orthotics with metatarsal pads are another method used to off-load the forefoot. 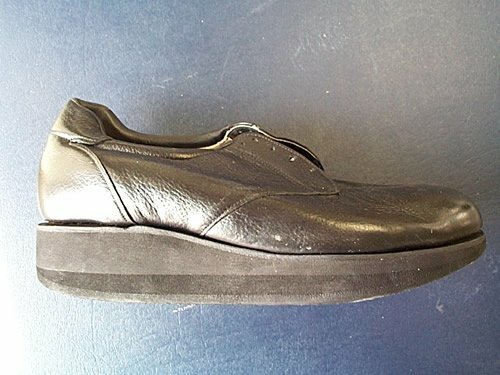 Shoe modification including a metatarsal bar or forefoot rocker sole may also be used. Should off-loading of the forefoot fail to relieve pain, an injection of cortisone may be considered. It's important to realize that forefoot bursitis is a mechanical problem caused by focal loading on one metatarsal head. Logic says that off-loading is necessary. A cortisone shot addresses forefoot bursitis in a different manner in that it reduces inflammation but fails to address the mechanical component that causes forefoot bursitis. Therefore, forefoot off-loading is used in conjunction with a cortisone injection. When treating forefoot bursitis, it's not uncommon to find the symptoms of bursitis with other forefoot pathology such as Morton's neuroma. 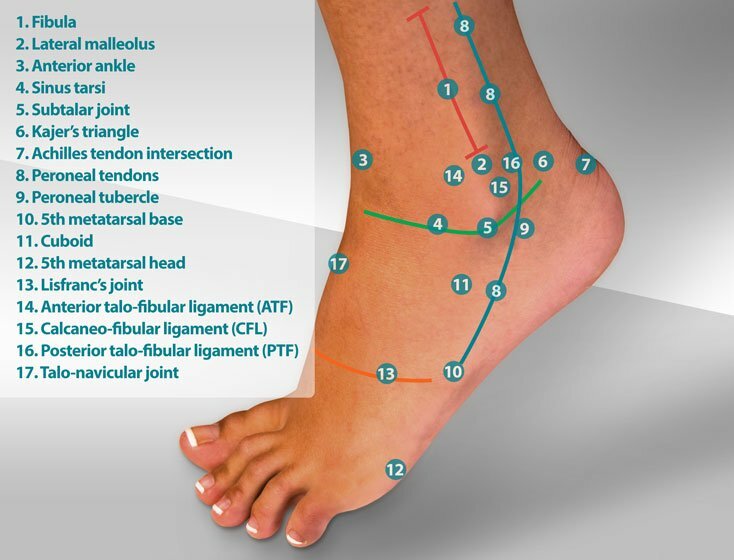 One of the greatest challenges in treating forefoot pain is to differentiate the percentage of symptoms and how each of these individual problems may contribute to a patient's pain. Therefore, the diagnosis of forefoot bursitis also needs to consider other forefoot conditions that may contribute to pain. Lastly, surgery may help in recalcitrant cases. In particular, a metatarsal osteotomy can be used. 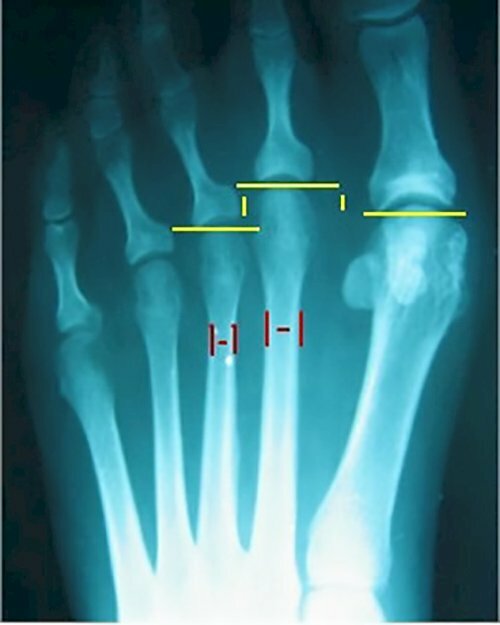 An osteotomy is a surgical fracture in the metatarsal bone to raise the metatarsal head up and away from the ground, thus reducing the forces that contribute to bursitis. Bursitis on the bottom of the heel (infracalcaneal bursitis) is common where the plantar fat pad has thinned over time. The most successful treatment is to restore the cushion to the bottom of the heel with a gel heel cushion or custom prescription orthotic modified with a horseshoe cut-out and extra depth foam in the heel. Avoiding situations where you're barefoot or only in your socks can improve bursitis of the posterior heel (retrocalcaneal bursitis.) The lower the heel the tighter the Achilles tendon becomes. The tighter the Achilles tendon the more tendency there is to compress the bursa of the posterior heel in the retrocalcaneal space. Using a heel lift or shoe with an elevated heel is imperative. Other methods of care include the use of an AirHeel. AirHeel uses two air bladders that massage the bottom and back of the heel with each step. This intermittent compression helps massage the bursitis and decrease pain. 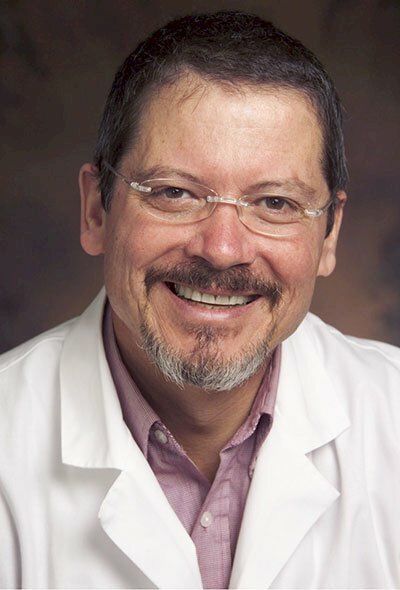 Both infracalcaneal and retrocalcaneal bursitis may benefit from anti-inflammatory medications. On rare occasions, surgery may be required to excise a painful bursa. 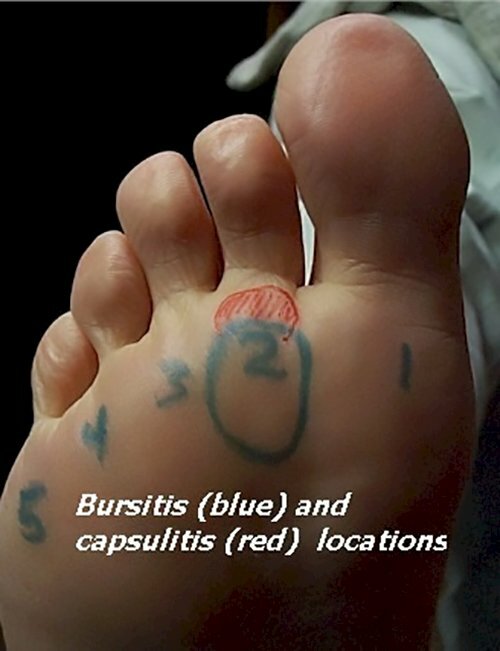 Bursitis of the Foot and Ankle by Myfootshop.com is licensed under a Creative Commons Attribution-NonCommercial 3.0 Unported License.